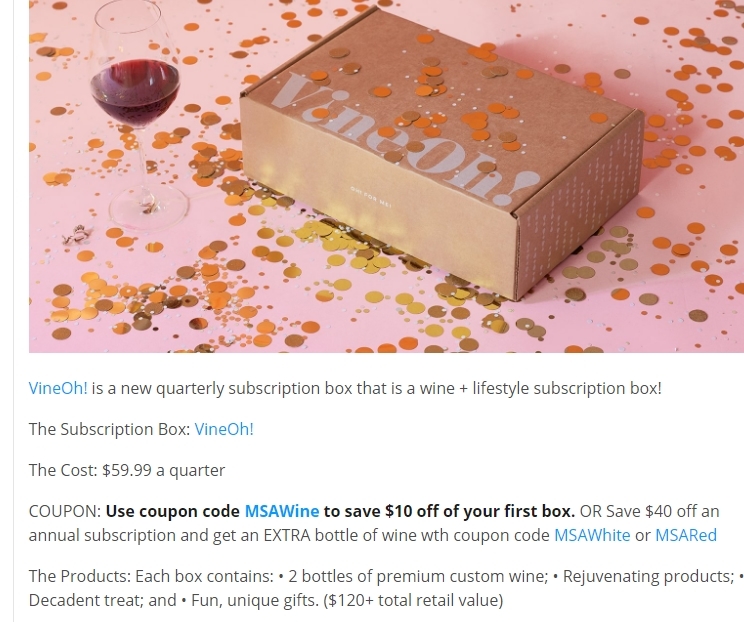 Laura DeLuca For a limited time, use coupon code MSAWINE to save 20% off of your first box PLUS get a bonus bottle of wine free! 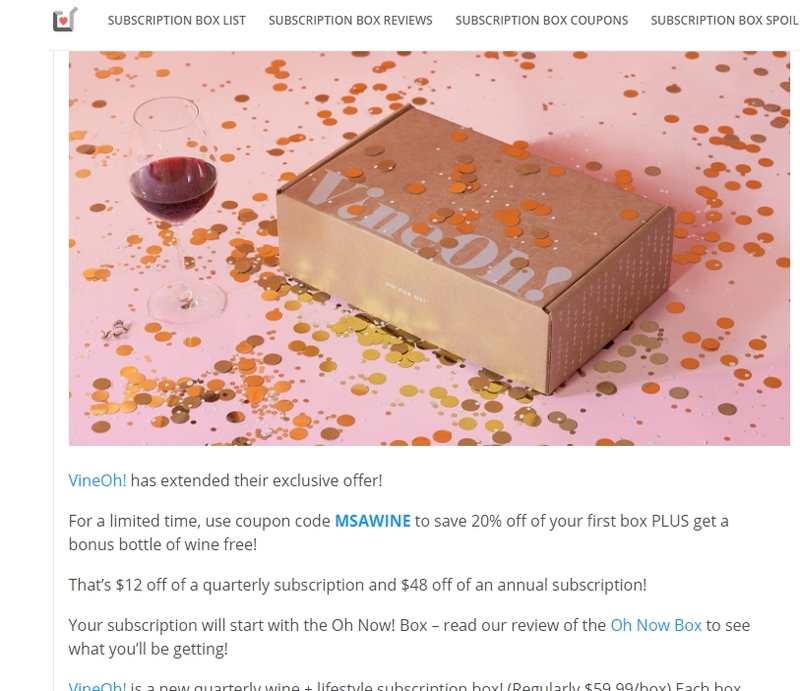 That’s $12 off of a quarterly subscription and $48 off of an annual subscription! 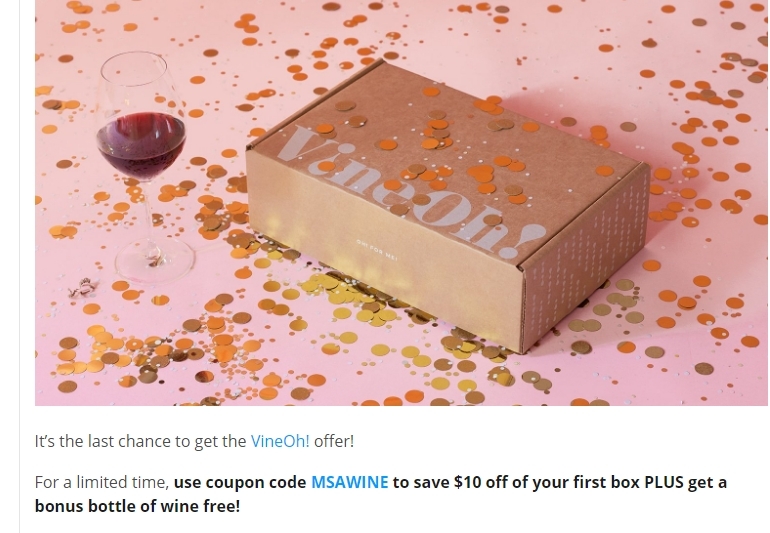 Laura DeLuca For a limited time, use coupon code MSAWINE to save $10 off of your first box PLUS get a bonus bottle of wine free! Laura DeLuca Vine Oh! 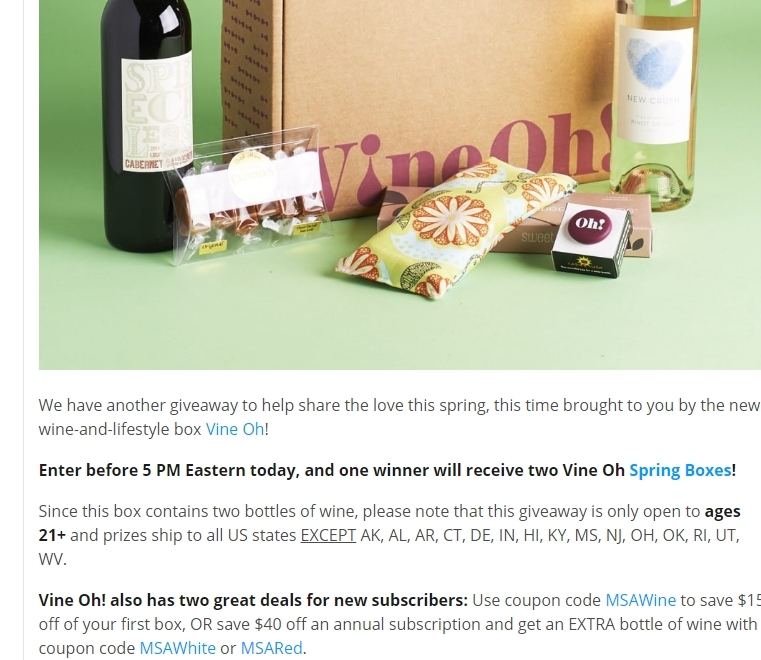 also has two great deals for new subscribers: Use coupon code MSAWine to save $15 off of your first box, OR save $40 off an annual subscription and get an EXTRA bottle of wine with coupon code MSAWhite or MSARed.